Forget sleeping the whole night. Your baby needs feeding regularly, about each 2 hours, not mention that it could be more often. Therefore, you will be tied with the breastfeeding. You’ll learn to recognize the differences in the baby’s cries which could refer to hunger or diaper-need-changing or sounds that want to make before going to sleep. It’s not that everything will go smoothly after pregnancy. Your hormones will surely increase, making you cry usually, even depressed. Don’t be afraid of talking about your feelings to the supportive team, because, first of all, they’ve seen it before; they know how to handle it; second of all, it’ll be better if you tell somebody so that they can help you to solve the problems. It’s completely not shameful being depressed after a delivery. If you or your babies is unable to calm down or feeling unhappy, a little of lavender oil will help a lot. 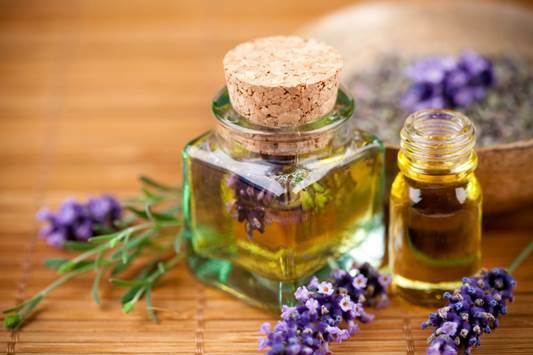 If you or your babies is unable to calm down or feeling unhappy, a little of lavender oil will help a lot. Put 1 drop of lavender oil in your palm and rub it between your palms so that when you carry your baby and fondle him, he will smell it. Or, put a drop on your neck then carry your baby on the side have lavender oil and lull him into sleep. Lavender will gently sooth the baby in a natural and quiet way, at the same time, you can take advantage of the warm and accommodating smell. Your baby need to be warmed in the crib, not too warmed to get suffocated in a bunch of clothes. You also need to check whether the crib and beddings meet all modern safety standards to remove the concern before it wakes you in the middle of the sleep. Of course it’s a beautiful time, except you are tired and exhausted. All the time in the world is to talk to you baby, fondle him, gentle massage him, and watch time learn the sounds of your voice and the expressions of your face. Even in the first days after the delivery, the sensory stimuli will start working and help your baby develop. So, you can start reading books to your baby if you want to. Play music. Let your child interact with colors and shapes and watch you baby discover the line of their little world. Your child can feel insecure as you spend too much time on the younger one. Making other children involved before the birth is what most parents do. Nonetheless, despite precautions, some children have complicated responses, emotions and need reassuring that they’re still important. 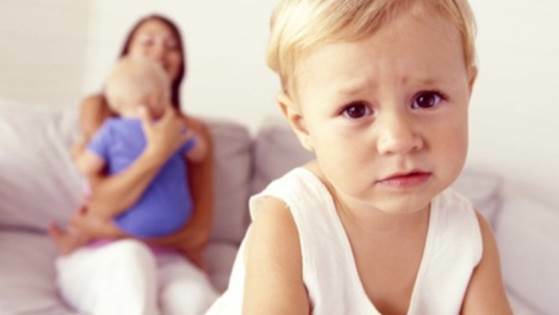 The excitement about having a new younger brother/ sister can disappear when they see their mother stay with the baby 24/7, and it’s necessary that a child feeling insecure receive attention. Make time to spend on the other children to strengthen the connections between you and them.